Easily the best thing about Nashville’s growth as a food destination: Our depth and breadth has grown just as much as the quality. New restaurant openings seem to pop up across the city weekly, and with almost every one, our representation of global cuisine gets stronger. Just in recent weeks, we saw Southeast Asian restaurant Sunda open in The Gulch, and the team behind ramen spot Two Ten Jack announce new downtown concept The Green Pheasant, celebrating Japanese traditions. Living in Nashville in 2018, the only things really keeping you from having a broad understanding of global cuisines: wrangling enough time, and money. A good solution: grabbing a Nations in Our Neighborhood Passport, which’ll give you access to chef’s sample plates at 18 participating Nashville restaurants, which you can use June through October. The idea behind the Nations in Our Neighborhood Passport is to “encourage the community to explore the ethnic dining within Music City,” and at $39.99, it’s a pretty reasonable expense, considering you’re getting to taste test almost 20 different Nashville restaurants, spanning nations and neighborhoods. Among the cuisines and Nashville restaurants Passport holders get to check out: German fare at Bavarian Bierhaus in Donelson, creative Indian-inspired cuisine at celeb chef-owned Chauhan Ale & Masala House in The Gulch, contemporary Chinese dishes at Tànsuŏ, Turkish treats from Anatolia in West Nashville and lots more. You’ll have the freedom to taste-test any time you’d like, June 1 through October 4, and every week, Passport holders also have access to exclusive prix fixe dinners at different participating places (they run $21.95, and the Passport has all the weekly options outlined). For a little extra experimentation at home, your Passport also includes a delivered meal from internationally focused meal service Gigamunch, whose week-by-week menus travel the globe. The whole thing kicks off on June 1 with a party at Plaza Mariachi on Nolensville Pike — its own multi-layered hub of cultural exploration — and you’ll have an invite to the wrap party at the Bierhaus in October, too. 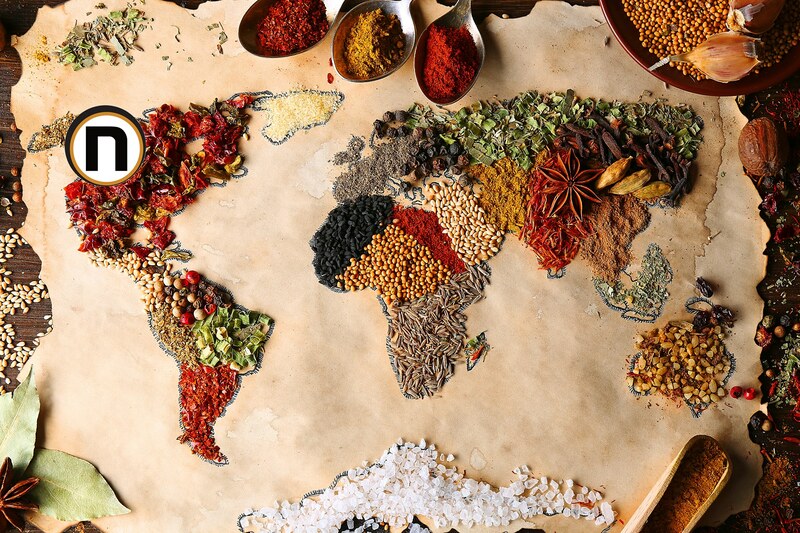 If this feels like a food adventure you’d like to take on: Passports to the Nations in Our Neighborhood are available at Barnes & Noble Vanderbilt (2501 West End Ave.) and the Bavarian Bierhaus (121 Opry Mills Dr.) in Nashville, Savory Spice Shop in Franklin (324 Main St.) and Le Creuset in Brentwood (330 Franklin Rd., Suite 266-B). You can also buy your Passport online, through nationsinourneighborhood.com. If you end up taking part, please tag us in any of your Instagram shots — we’d love to see how your culinary exploration unfolds. And if your food adventure helps you settle on the neighborhood you want to settle in, let us know if we can help you find your Nashville dream home!